A young boy’s dream of being a garbage man comes true, but only after he becomes a realtor. 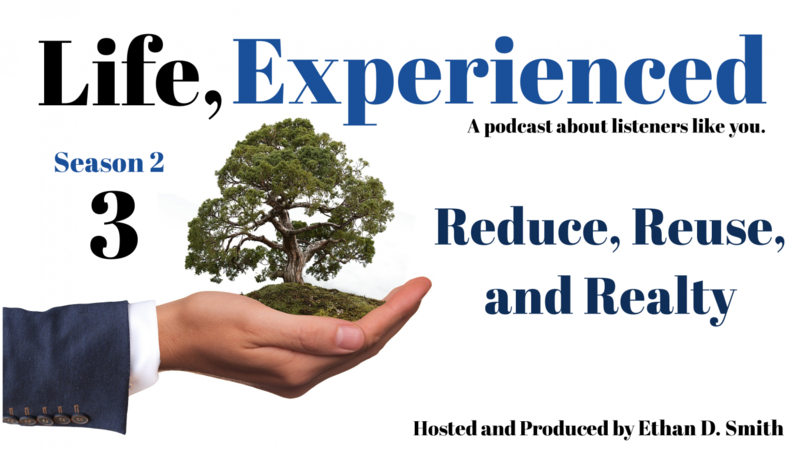 Life, Experienced is a podcast hosted and produced by Ethan D. Smith. Each episode features an interview with someone who has unique or interesting stories to share. The podcast was created as an effort to both promote oral history and storytelling and to highlight fascinating tales from the human experience. If you have a story you believe would make a great episode, feel free to email podcast@ethandsmith.com or reach out via Twitter or Facebook below. Continuing from last week's episode, Duro Bjegovic recounts his experiences playing Division I NCAA basketball, returning to Europe to play, and how the playing environments differ across the world. A basketball player recounts his experiences from the Croatian War for Independence and how his life's journey allowed him to pursue basketball as a career. This episode is available wherever you get your podcasts. Visit https://anchor.fm/life-experienced to subscribe! Weathering the Storm Blog - Listen Now! Life, Experienced Podcast updated their profile picture. A newspaper copy editor and columnist shares his thoughts on blogging about the weather, going on storm chasing expeditions, and the importance of local journalism. Can't wait for tomorrow's new episode? Spend some time catching up on past episodes of Life, Experienced! If you're new to the show, some of the stories you can hear include how a stay-at-home mom became CEO of a small business (S1E5), what it's like to get paid to be a pirate (S1E3), how a childhood dream of becoming a garbage man became reality (S2E3), how a social media website became an international hit in the mid-2000s (S2E8), and a real-life romance that began in Paris (S1E8). More fantastic stories to come this season, so be sure to subscribe wherever you get your podcasts!